On a mild winter Saturday morning, Bicycle Coalition staff and volunteers met with an engaged group of local advocates, Steve Beckley of the Delaware County Planning Department, and Delaware County Councilman Kevin Madden to explore the future southern section of the Chester Creek Trail in Aston Township. 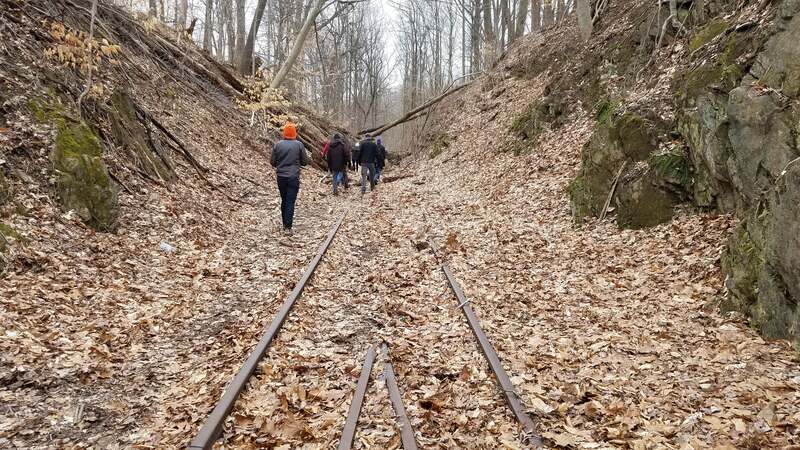 We started at the southern terminus of the Chester Creek trail in Middletown Township, crossing several abandoned rail bridges and innumerable fallen trees and other obstacles to get a sense of where the new section of trail will go in Aston Township. 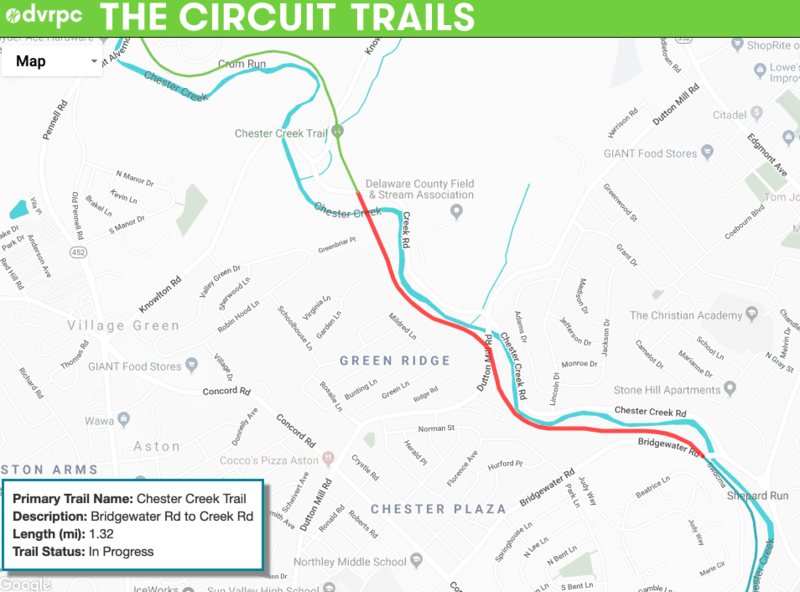 The trail alignment mostly follows the Chester Creek and has one road crossing (Dutton Mills Road). This current segment will end where Bridgewater Road meets Creek Road. This project is a result of the hard working non-profit, Friends of the Chester Creek Trail Branch, initiated by visionary founder Mike Fusco, which started in 1994 to advocate for the conversion of the unused Chester Creek Branch rail line (destroyed by Hurricane Agnes in 1972) into a multipurpose trail. After many years, the first section was opened in late 2016, though sadly Mike did not live to see its completion. Delaware County Planning Department is the trail development sponsor and recently signed a contract with Wilson Consulting Group to design the nearly 2-mile trail segment that will extend the current trail. To view all of the photos from our great trail walk, click here.